Home » Patriotism on Constitution Day! 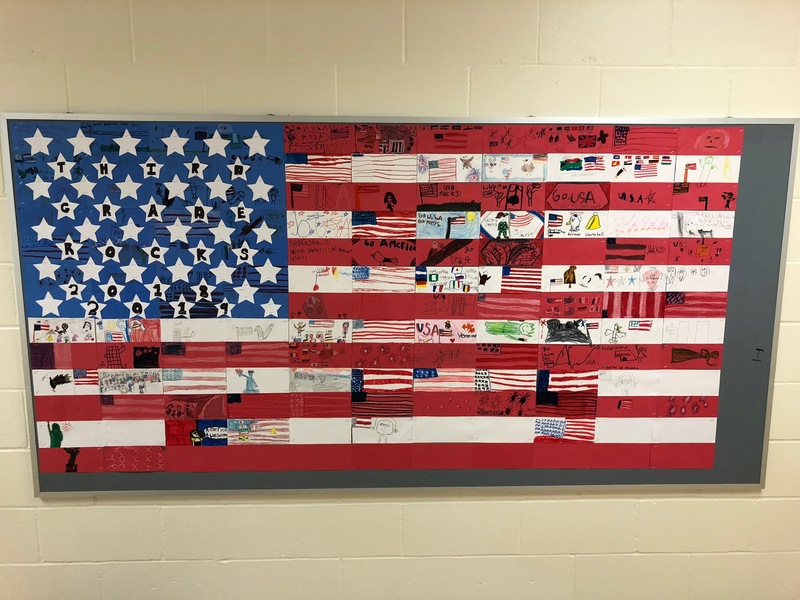 The 3rd graders celebrated Constitution Day by creating a grade level United States Flag mural. 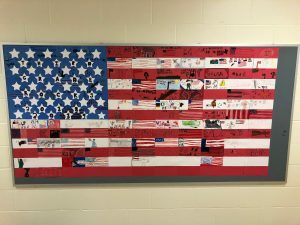 Each student had the opportunity to design a section, and decorate their part with patriotic symbols from America, as well as flags and symbols from around the world that help make up our great country! The flag is on display in the hallway outside of third grade pod. Check it out the next time you’re at school!